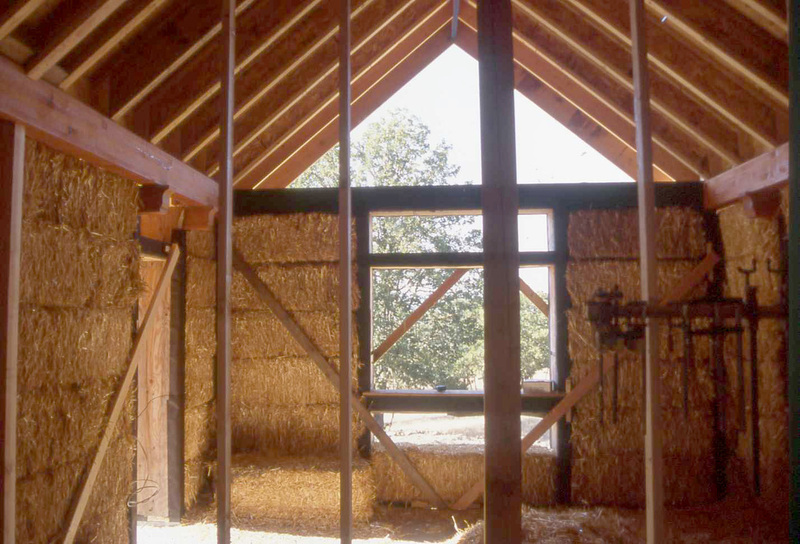 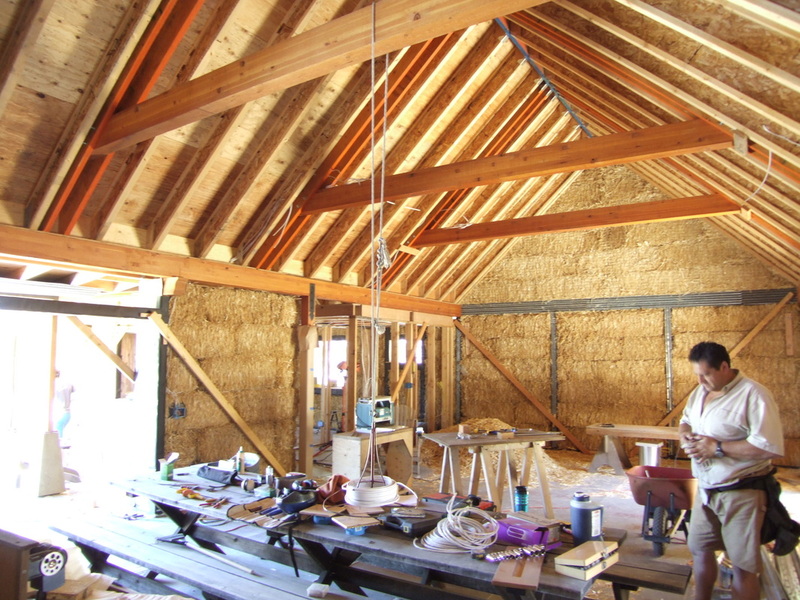 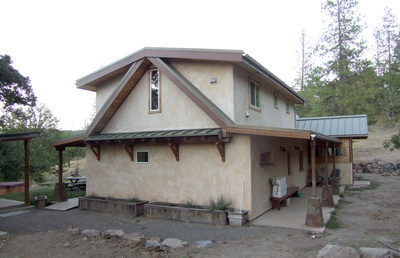 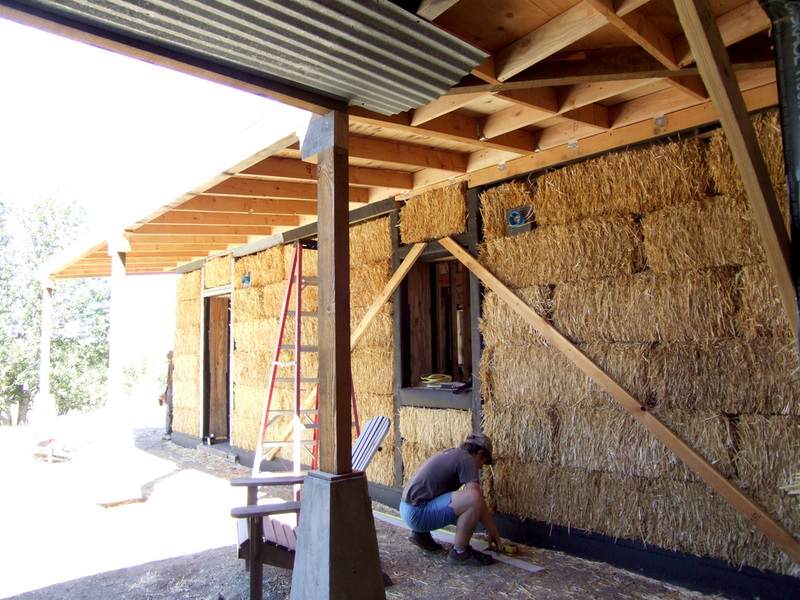 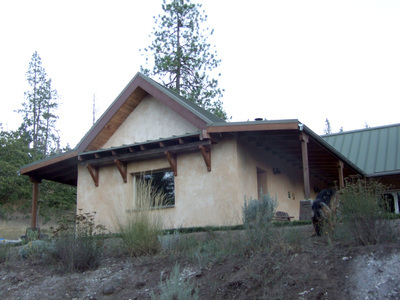 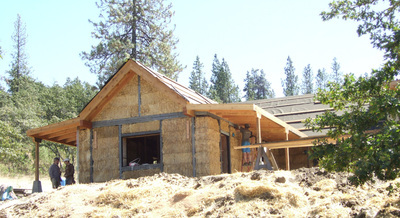 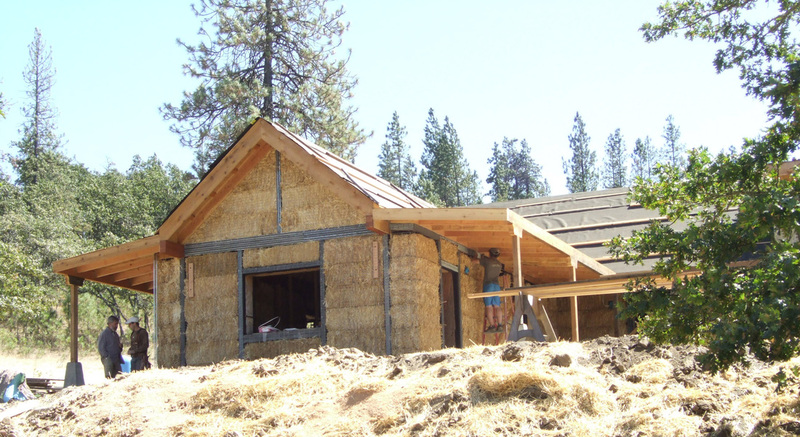 This 2,000 square foot owner-built straw bale home is unique in many respects, beginning with a structural system that exposes the bearing posts and beams internally. The craftsmanship is creative and exhibits great care. 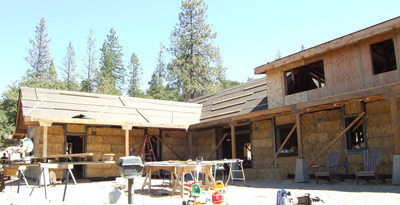 The overall form defines an exterior courtyard, focusing views directly toward Mt. Adams to the north, and an outdoor kitchen. It also features solar hot water heating and photovoltaic energy generation systems.